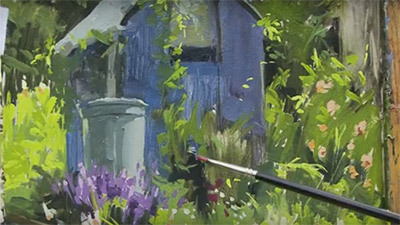 In the introduction to his latest video, Bob Wade reminds us that the key to successful watercolour painting is to keep things simple, while at the same time learning to understand the medium and allowing it to "do what it likes doing best." We are encouraged to look for the big shapes and the main values and, above all, "to avoid derail like the plague until the very last part of a painting!" 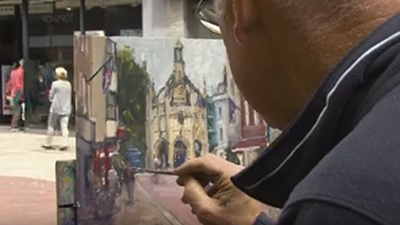 Painting in and around the university town of Leuven in Belgium, Bob tackles four different subjects and shows how, no matter what we have decided to paint, we should concentrate on bold forms and broad washes. Our aim, he advises, should be to translate what we see into workable values for a painting - to think in terms of making a picture rather than a detailed copy of what is there. And his method certainly works, for by focusing on the essentials, his paintings are fresh, vibrant and full of feeling and atmosphere. He likes to paint on Waterford Rough paper and usually begins with a 1½” flat brush to block in the main washes over a preliminary drawing. 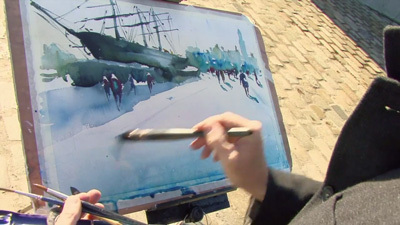 Sometimes he works back over dry colour to reinforce tones or to add a suggestion of detail. 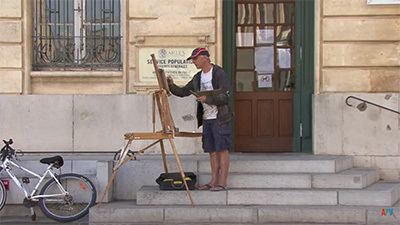 He also uses dry brush and other methods where appropriate for certain textures and effects, but his main technique is wet-in-wet. 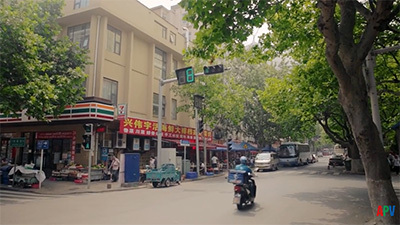 As shown by a supplementary demonstration at one point in the video, and contrary to popular belief, it is possible to work wash-on-wash numerous times without resulting in muddy colours. In each of the demonstrations -. 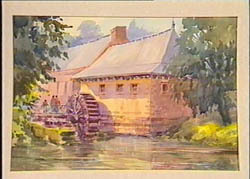 of a lakeside inn with reflectlons, a landscape view towards distant farm buildings, a strong perspective view of a university building, and an old mill house - we are shown how to start with very general areas and develop these to suggest our subject. 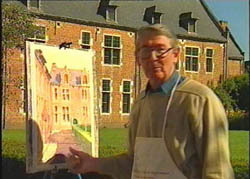 The video is full of sound advice, purposefully stated and demonstrated by this internationally-known watercolourist. 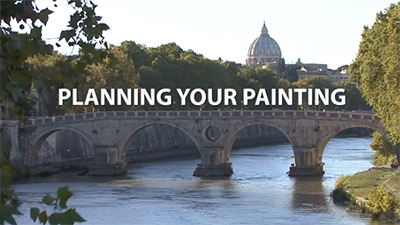 If you are troubled bv a tendency to be too fussy and concerned with detail at the expense of the overall impact of your work, you need confidence and guidance on how best to approach location painting, or you simply need some inspiration, here is just the video for you! 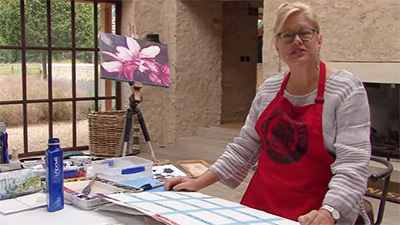 If you need advice on how to interpret subjects effectively, yet in a simple and direct way, or you want to paint in a more spontaneous, freer style, then here is just the video. 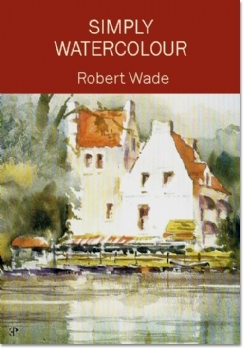 'Watercolour is a simple medium and is meant to be painted simply," enthuses Bob Wade. "Use big shapes, not too much detail, big washes and plenty of scope to let the watercolour medium do the things that it likes doing best, like mixing and merging."